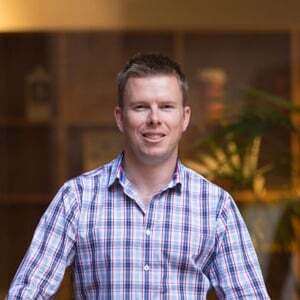 TV3’s reality show The Block NZ Villa Wars contestants are half way through their renovations and with budgets dwindling away, every challenge and opportunity to win money or prizes is crucial. 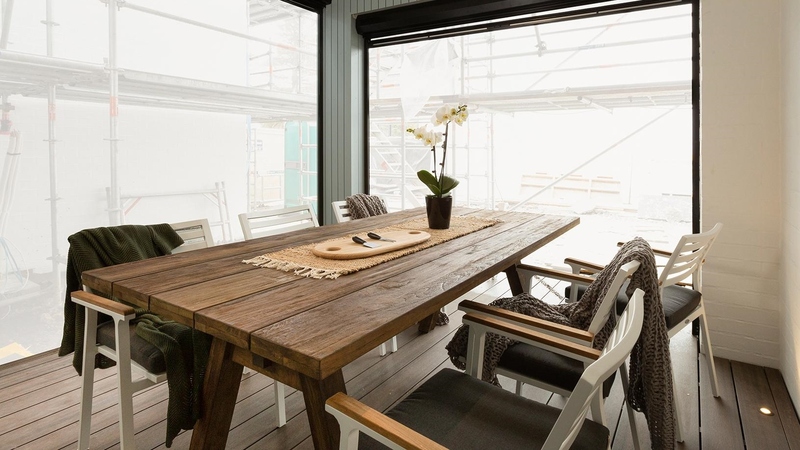 This week contests from The Block NZ were tasked with creating an outdoor entertaining room which must fit the brief of being a ‘relaxing private oasis’. 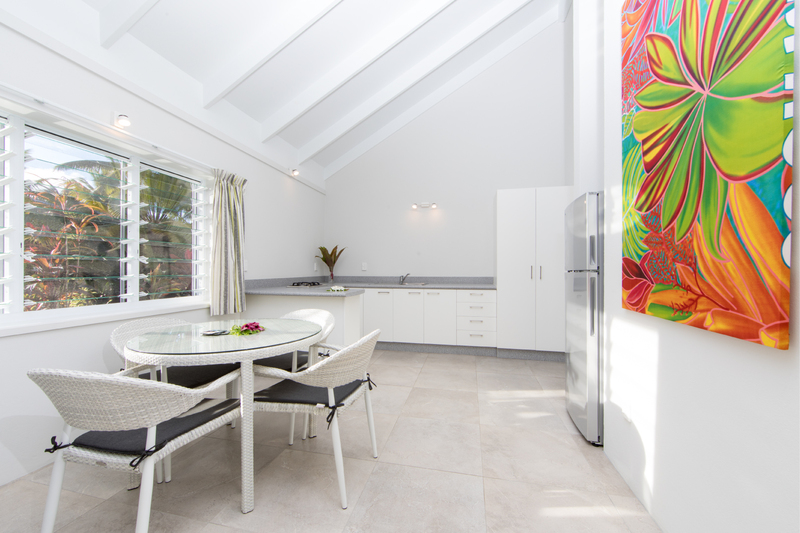 The outdoor room needed to feature an outdoor cooking apparatus, louver roof and some outdoor furniture. 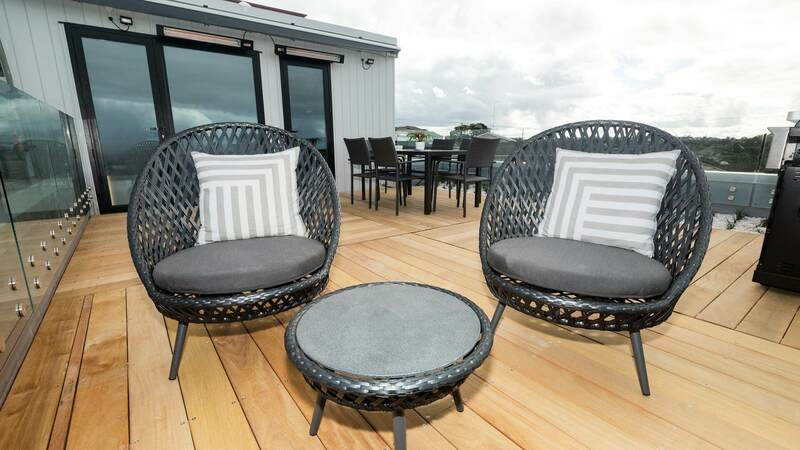 As budgets continue to tighten The Block NZ made this next room more achievable for one team with a well known challenge that gave them the opportunity to win some much needed outdoor furniture. OceanWeave have proudly sponsored one of The Block NZ’s more famous challenge’s this week which saw the contests construct and walk on their own planks over a pool of water. 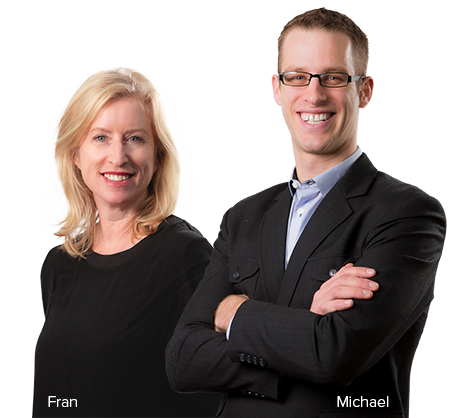 Sarah and Minanne won the challenge, entitling them to $8,000 to spend at OceanWeave and Shade7. 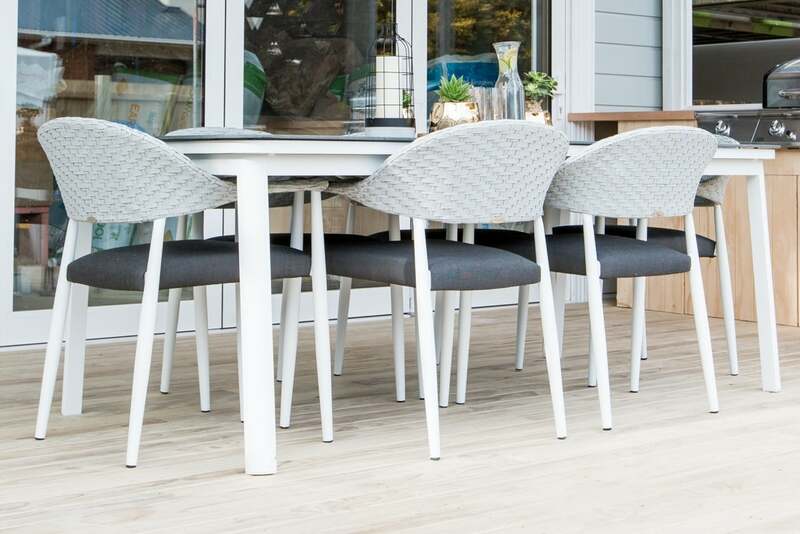 After visiting the OceanWeave showroom, Minanne fell in love with the Rio Outdoor Dining Set which would perfectly match their white and grey colour scheme. The Rio outdoor dining set features a modern and minimalist design which will complement a wide variety of styles and décor. 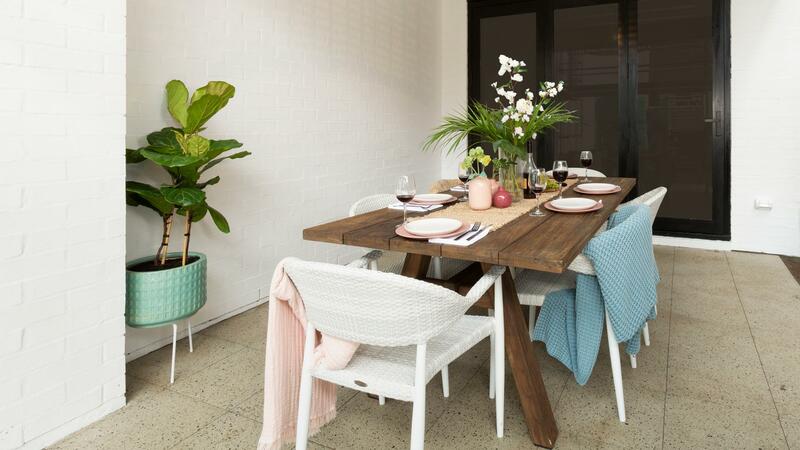 The outdoor table seats six people and has a unique stone glass look to the dining table. 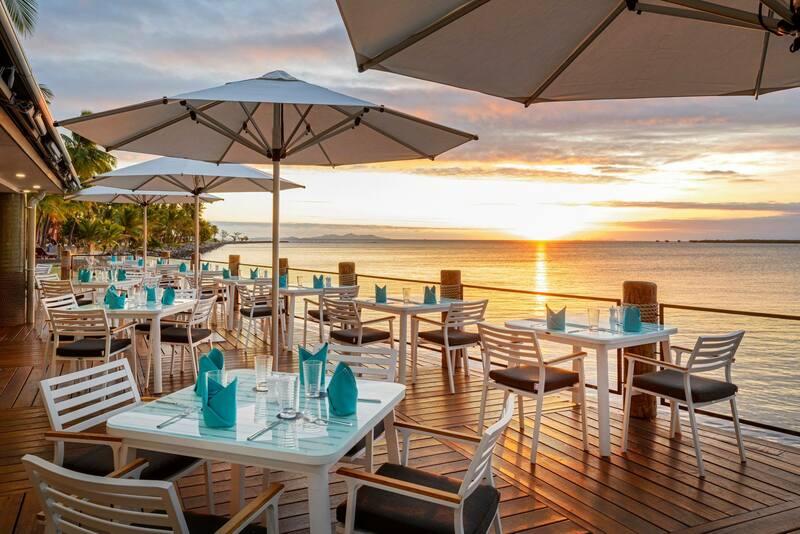 As with all OceanWeave furniture, this outdoor dining set has been crafted with excellent quality materials that will endure New Zealand’s harsh sun conditions. 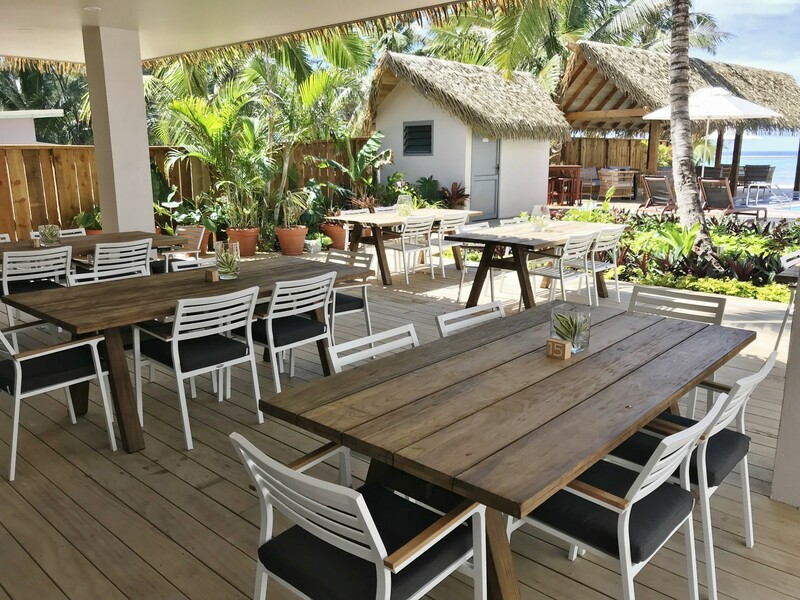 The outdoor chairs have been built with a comfortable scooped back using hand-woven acrylic outdoor strapping in a light grey colour. The cushions are covered with Sunbrella fabrics, a global market leader, who produce colourfast, water resistant, stain resistant and washable material. Additionally the technology used on the foam of the cushions allows them to drain quickly after getting wet, whilst also being resistant to the growth of mould. With limited space remaining in their outdoor room Minanne also opted for a beautiful two seat lounge piece set called Buenos, in a light grey to match their colour scheme. Buenos is a modern set which is woven using durable and long lasting acrylic strapping. Sarah and Minanne also chose some navy scatter cushions to match the colour scheme that they had used inside. Sarah and Minanne still have some prize money left and are saving it for some more outdoor furniture during the next outdoor week. 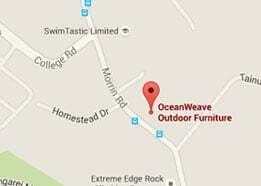 For more information about how OceanWeave’s outdoor furniture can suit your outdoor space, please contact OceanWeave or visit their Auckland Showroom.